National Telecom Policy draft has been released under which guidelines, licensed telecom service providers like Airtel, Idea, Reliance Jio, Vodafone and others will now be able to provide app-based voice calling services over Wi-Fi. These voice calls will be treated similar to the regular voice calls that we make and operators will have to follow the guidelines set by telecom regulator Trai. 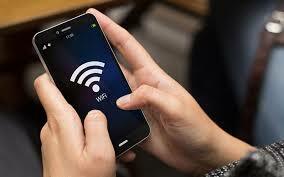 If you are a Idea user and you are not able to get proper connectivity in your region or is tired of call drops then you can use an app to connect through your home or office Wi-Fi to make calls. The telephony app can also be of a different service provider. Users using Vodafone SIM to make calls and wish to use the telephony app of a different service provider, then you will be required to download that company's app. In this case, you will be issued a new 10-digit mobile number. However, if you are already on Vodafone and want to use Vodafone telephony app to make calls via Wi-Fi then you will not need a new number. Rajan S Mathews, Director General, COAI has said " VOIP is not native to our infrastructure which is basically circuit switch and VOIP did not take-off in India previously. Now, the regulator is saying that they will allow these VOIP calls and it is okay for operators to be able to receive those under the appropriate regulatory conditions"